Connectivity is vital for growth, we will focus on key areas within the North of England which will form a key part of future economic growth. 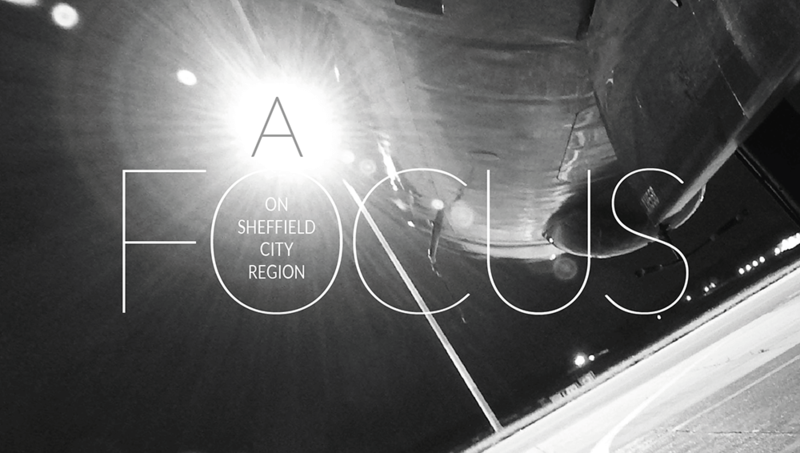 This month we’ll look at Sheffield City Region (SCR), a major Northern economy which will also provide a vital link between the North and the nation. Sheffield City Region Strategically located in the heart of the country, it is home to 1.8 million people within the nine local authority areas of Barnsley, Bassetlaw, Bolsover, Chesterfield, Derbyshire Dales, North East Derbyshire, Doncaster, Rotherham and Sheffield. These nine areas are home to approximately 52,000 businesses across a diverse economy; including a dynamic city centre, busy market towns and idyllic countryside. Devolution and investment In December 2014 Sheffield City Region agreed a devolution deal which includes a metro mayor to be elected next year. The deal means that the region will be able to access £900m of government money over the next 30 years. Plans are to invest across transport, skills, creating jobs, inward investment and the support of local businesses. The City Region is also benefiting from two growth deals. The first part of the deal was completed in March 2014 and successfully secured £320 million. In January 2015 Sheffield LEP secured a further £30 million, the investment will go towards new training facilities and a business investment and support programme by the LEP to create 4,400 new jobs. SCR will also develop transport links including tramline replacement and infrastructure work on the Midland Mainline which will mean faster journey times from Sheffield and Chesterfield to London. Investment has also been driven into Doncaster’s successful bid to become home to the new National College for High Speed Rail (NCHSR). The College will upskill tomorrows labour market, who will benefit from a 1,900 square metre workshop, teaching classrooms, 120 seat lecture theatre and open project spaces. NCHSR is scheduled for its first intake of students in September 2017. Barnsley is also benefitting from a £17m funding agreement provided by the Sheffield City Region Investment Fund (SCRIF) which will lead to the delivery of new commercial units and thousands of new jobs at this key gateway location. Barnsley Council signed the funding agreement with SCR, as well as two development agreements with Harworth Estates, CRM and Hoyland Developments Ltd.
Further development in the SCR is Sheffield’s city centre Grey to Green project. The project involves transforming redundant roads in the city’s business district into attractive public spaces, including rain gardens, public art and street furniture. Moreover, Sheffield has taken advantage of the current so-called golden era between Britain and China. Chinese construction group Sichuan Guodong is investing a phenomenal billion-pounds into the city – the biggest Chinese investment outside of London. The deal will last up to 60 years and will create hundreds if not thousands of jobs. The Great Yorkshire Way and Doncaster airport One of the major infrastructure developments currently underway in Sheffield City Region is the Great Yorkshire Way, the first section of which was opened earlier this year as part of a £100m investment in infrastructure to support a logistics hub around the DSA airport. This critical investment is supporting growth at DSA, which has recently been announced as the fastest growing airport in the country, alongside the Inland Port which is currently under construction as one of the largest sites in the country at 6,000,000 sq ft and recently announced Amazon as its anchor tenant. Linking Sheffield to the wider Northern network Transport for the North’s Strategic Transport Plan will support Sheffield City Region to build on these major investments and improve the transport links between Sheffield and other major growth hubs in the North. Amy Harhoff, head of policy and strategy at Transport for the North said: “Improved connectivity between Sheffield City Region and the wider North is absolutely mission critical to the future of the Northern Powerhouse as a whole. “We are investigating and developing proposals including a potential Trans Pennine tunnel and Northern Powerhouse Rail (NPR). These two developments would dramatically cut travel times by road and rail between Sheffield and Manchester and Sheffield and Leeds, and would have a major impact in linking Sheffield City Region into the wider northern economy.” The Trans Pennine tunnel between Sheffield City Region and Greater Manchester would result in the longest road tunnel in Europe, with an expected completion date of 2040. Plans for a major rail scheme, NPR, covered in more detail on pages 18-21, will also see major investments not just across the whole of the northern rail network but in particular key rail links between Sheffield City Region, Leeds and Manchester. Amy said: “NPR and the Trans Pennine tunnel are huge developments, which we are currently looking at in terms of feasibility and cost. While the investment is considerable the impact for the long term could be huge for Sheffield City Region, placing it as the southern hub of the northern economy, and giving a further boost to the investment and growth already happening.